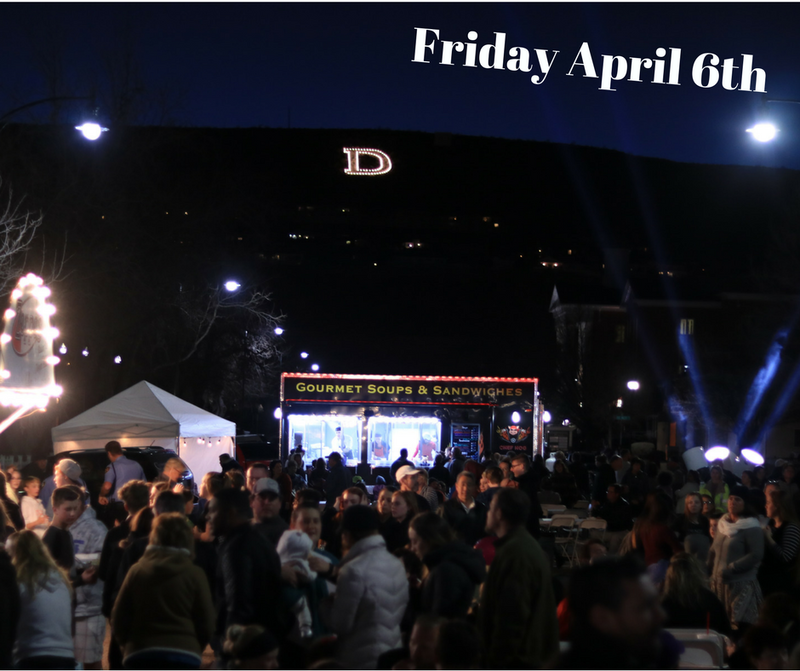 ST. GEORGE — April may be for fools but there’s no foolin’ when it comes to the St. George Streetfest, the seasonal monthly event held on first Fridays. The community event resumed in March and continues to be a huge hit with this Friday’s fest, aptly-themed “No Foolin’ Streetfest is the Best,” promises even new activities and prime time family fun. April’s Streetfest will kickoff in downtown St. George at 6 p.m. Friday on Main Street and the Town Square Park. Now in its third season, St. George Streetfest has grown to include a third stage and more attractions. Of course fan favorites like the Desert Pulse Jazz Garden and Main Street Stage featuring Festival Sounds DJ Dance are back highlighting what organizers describe as phenomenal talent this season. The additional attractions have been wildly popular with Streetfest fans looking for great family entertainment. The excitement of the event is truly infectious. Part of the tremendous success of the event is because of the wonderful support the event has received, board chairman John Kessler said. St. George Streetfest is brought to the community by and in appreciation of its many generous sponsors, including Canyon Media, St. George News, Stapley Pharmacy, Nielson RV, Red Door Dental, Desert Pulse, The Independent, Green Gate Village, Stone Canyon Eye Care, Skywest Airlines, St George Events and Occasions, Wasatch Brewery, Chef Hog, Tuacahn Center for the Arts, IG Winery, Festival Sound and the city of St. George. Desert Pulse Jazz Garden at Green Gate Village featuring jazz musicians the first hour and high-quality bands the remainder of the night. Dancing, beer and wine from 6 p.m. to midnight. $5 cover charge. Stapley Family Fun Zone featuring jump houses, an obstacle course, ultimate ping pong, pottery, crafts, climbing wall from 6-9 p.m. $5 per wrist band. Nielson RV Vendor Village from 6-9 p.m. featuring over 30 arts and crafts vendors and retail merchants, tours of RVs and campers and First Friday discounts. Chef Hog Food Truck Row powered by Tuacahn and featuring a variety of food trucks and more from 6-10 p.m.
Main Street Stage and vendors: quality family entertainment and bands from 6-9 p.m.; Festival Sounds DJ dance party from 9-10 p.m.; downtown vendors featuring products and great food. Red Door Dental face painting. Stone Canyon Eye Care interactive mirror photo booth. Other activities: trampoline bungee, mechanical bull, magician, hip hop dancers, vocal talent, karaoke. Vendor opportunities are still available by visiting the St. George Streetfest website. 6-6:30 p.m. – Clinton Norman. 6:30-7 p.m. – Bailey Carter. 7 -8 p.m. – Red Rock Strings. 8-8:30 p.m. – Even Stevens Super Star. 8:30-9 p.m. – Jim Sevy’s Jazz Band. 6 p.m. – Even Stevens Super Star. 7 p.m. – Raven Cain Band. 9 p.m. – Festival Sounds DJ Dance Party. 6 p.m. – Dixie Jazz Quartet. 7 p.m. – Even Stevens Super Star. 7:30 p.m. – Eli A. 8:30 p.m. – Mason Cottom Band. May 4 – Cinco de Mayo and Iron Streetfest. June 1 – Moonlight Madness and Glow Run. July 6 – Independence Day celebration and fireworks. Aug. 3 – Islands Celebration and Luau. Sept. 7 – Cowboy Country Jam. Oct. 5 – Oktoberfest and Art Show. St. George Streetfest, formerly know as Georgefest, is a nonprofit organization under the A.R.T.S umbrella. According to its news release, the event is designed to revitalize the heart of downtown St. George and make it a destination for residents and tourists. St. George Streetfest showcases downtown businesses, local arts, vendors and food and provides quality activities and entertainment for all ages. The event takes place the first Friday of the month from March through October on Main Street and Town Square in downtown St. George. Streetfest provides a consistent, clean, safe, outdoor nightlife experience for the entire community. The St. George Streetfest board of directors comprises chairman John Kessler, Shayne Durrant, Tanisha “TK” Randal and Darren Edwards.